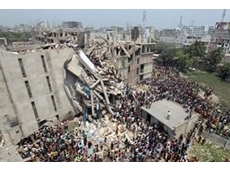 An alliance of North American retailers has announced a plan to improve factory safety in Bangladesh. With 24/7 operations, heavy machinery, and demanding rosters, FIFO based working environments were always going to be a recipe for serious fatigue risk in Australian mining. 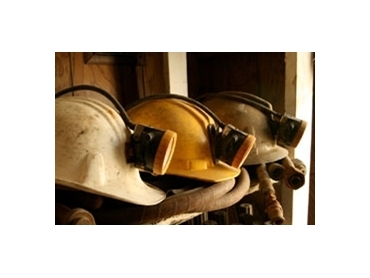 This is part two of Managing FIFO fatigue in mining, to read Part 1 click here. We are also well aware of the problematic lure of alcohol and food in isolating and lonely environments such as FIFO camps—both of which may negatively influence fatigue levels at work and during leave periods. Having seen a definite increase in alcohol use in workers over the years, more needs to be done to support individuals who are turning to alcohol and food as a way to alleviate the routine nature and stress of FIFO and/or camp accommodation. There are also concerns for similar reasons around the alarming findings in an industry study that ¾ of employees were overweight or obese.A higher percentage of overweight people suffer from sleep disorders as well as increased levels of physical fatigue. This is in addition to impaired health, lower productivity and higher absenteeism. While the mining industry is attempting to address obesity with healthy meal choices and lifestyle programs there may still be some situations where the unlimited food supply could be a source of comfort for those not adjusting so well to the FIFO lifestyle. Fast versus slowly rotating. Forward versus backwards rotating. Day versus night shifts. Twelve versus eight hours shifts, and many more combinations. Night shifts are inherently more hazardous than morning or afternoon shifts; possibly up to six times more hazardous. Longer work hours, such as 12 hour schedules and excessive overtime may also, on the balance of evidence, be more hazardous to health and safety of workers than shorter schedules, especially if containing safety-critical or nightshift work or a high workload. Rosters with early morning starts (e.g. before 6AM) also reduce nightly sleep. In any case, the answer to the preceding question is that there is no ‘ideal’ roster in an absolute sense. Each roster has its own advantages and disadvantages. The company must assess its own requirements, whilst consulting with its workforce, and decide on what combination of rostering arrangements (compromises) work best for their operations. However, in general, current best practice evidence suggests that fast forward rotating schedules may minimise the amount of sleep disruption experienced by workers. The traditional weekly change of shifts appears to be the worst solution of all. Unfortunately, at this point in time there is no definitive answer to the correct length of swings and how shift work is structured within these swings. Further consideration of roster structures and their inherent strengths and risks should be undertaken. Use of shiftwork specialists and/or shiftwork/fatigue modeling software can be of great assistance here. It is recognised that simply having policies and procedures does not guarantee that workers will comply with requirements. This is where the organisational culture comes into play. One recent industrial study showed that greater investments in safety systems and processes did not improve operational safety in the absence of a highly safety focused culture. In fact, without an effective culture, investments in safety processes were found to potentially hamper safety. Often we find a lack of understanding in supervisors and upper management about how to deal with fatigue and mental stresses in FIFO workers. Employees resist speaking up or raising concerns for fear of being criticised and told to 'harden up' or go home.Workers, on some occasions, can feel vulnerable to scrutiny by management and the perceived threat of job loss. However the stigma associated with ‘not coping’ or ‘being fatigued’ is one of the main barriers stopping employees from seeking help. They don’t want to be seen as soft, weak or unable to cope and it is this 'false bravado' culture which can lead to people hiding concerns. This situation needs to be addressed and organisational culture can have the greatest impact here, behavioral examples from leaders and supervisors and the recognition that being safe is more important that being ‘tough’. Supervisor level education and training on recognising symptoms of fatigue and mental stress and how to deal with it is an essential starting point. Benefits derived from improving fatigue levels include improved workplace safety, awareness of mental health and available support, reduced training and recruitment costs, improved resilience to stress, and increased productivity. 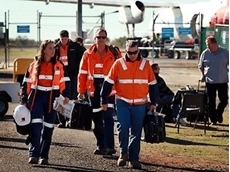 It is vital that FIFO workers are supported to develop resilience and the capability to manage the impact of their work arrangements on their personal wellbeing. By introducing relatively simple programs, companies can enhance the coping skills, emotional wellbeing and personal fatigue management of their workforce. This in turn maximises productivity and company returns. Fatigue is multi-faceted, it is an issue that will never be completely removed from mining environments.Companies are taking proactive steps in this field; however we are still too often seeing fatigue-related incidents which shows there is still more work to be done to reach optimal fatigue management in the industry. *Helen Wood is the CEO at TMS Consulting.